One of the things we like to do here at Comic Impact is feature various comic book artists each month. Some you may know and some that are new to you. The idea is to make people aware of the amazing talent that’s out there and hopefully to get you interested in reading new books! This month we’re taking a look into the mind of Mahmud Asrar. 1-Who are you and what are you known for? I’m Mahmud Asrar, a comic book artist from planet Earth. I’m probably most known for Dynamo 5, Supergirl and Wolverine and The X-Men. 2-Who do you currently represent and what are you working on? I’m currently under exclusive contract with Marvel. 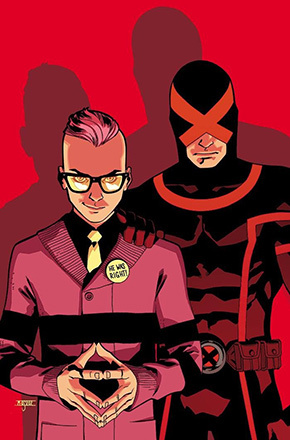 Right now I’m drawing All-New X-Men. 3-How did you get into the world of comic art? As long as I’ve know myself I enjoyed leaving marks on paper. Comics were all around me growing up too so those two things combined to make me aspire to work in comics. Since no one sought me out to draw for them outright, I thought I’d start myself with fanzines. That was the inception of things to come. 4-Did you ever think as a kid that you would be working in the comics industry? It was a big dream and it was hard to imagine myself doing it, but I really wanted to. With the evolution of how things started to work along with the spreading of the internet it the dream slowly turned into reality. It suddenly didn’t seem so hard to reach. I never stopped wanting it and that persistence helped with the passing of time. 5-Do you read comics and if so, what are your favorite titles? I do but I can’t find the time anymore. I tend to lean more on independent stuff or series with complete story lines that start and end. Mostly what I’m interested in is good art though. So I’ll read it if I really like the art. 6-Who is your favorite comic book character? Wouldn’t say, I have that big an interest in specific characters but rather in good stories. 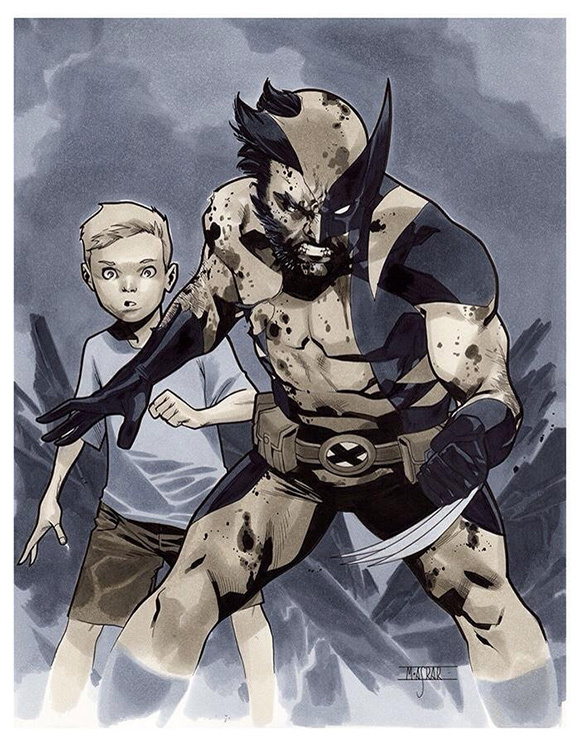 However, I’ve always been partial to Wolverine. 7-What artists or writers are your biggest influences? Too many to name. I wouldn’t say writers are much of an influence to me directly but some artists that directly affected me growing up are John Buscema, John Byrne, Jim Lee and Adam Hughes. Right now, if I see something I like then I feel it is an influence on me. That is how art works in a sense. We all stand on shoulders of previous artists, as they say. 8-Who is the one character that you’ve always wished you could put your artistic touch on? 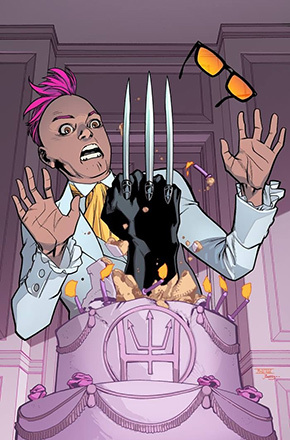 The X-Men in general, I suppose. That’s something I’m slowly checking off my list, right now. From mainstream characters, I wouldn’t mind doing a Batman someday. 9-How long does it take for you to complete a project, issue, or cover? I usually draw a page in 6-8 hours and I end up drawing an issue in four weeks. Covers take a few days due to the concept/sketch/approval. Usually 2-3 days. The actual drawing usually takes a day. 10-What is your basic creative process for each project? I get a script and give it a good read. Start off with layouts which I do digitally. I usually do about half the issue in two days and then start with the pages. I draw the pages traditionally and I ink myself. Along the way, I complete the rest of the layouts and keep on drawing pages. I don’t have set hours and I do work on weekends. In that sense some days I do more work and some days less. All in all a standard 20 page issue usually takes about 4 weeks. 11-Do you do most of your work traditionally, digitally, or a combination? It’s a combined process as I mentioned above but the end result is almost always entirely traditional. 12-Have you ever met anyone you were star struck over? The first few times I traveled to conventions everything felt so unreal that I was starstruck with everything and everyone. You have to understand that since I live in Turkey everything seemed so distant. I’m mostly over that now and I feel I can form relatively normal conversations with people these days. 13-Do you buy any toys, busts and etc. based on some of your work? I do, but I haven’t lost control. I have some random pieces that I enjoy. Don’t have much, if any, based on my work. 14-What does your workspace look like? I work from home so I have a studio in the apartment. It’s a relatively small room where I keep everything related to my work. I have my digital setup right across my drawing table. All my comics and books are here too. So it’s a combination of a workspace and a mancave. Artwork on the walls, toys and statues on shelves. The usual, I suppose. 15-What is the strangest thing that someone has asked you to draw? I’ve been lucky not to have gotten really weird requests. I did draw a pet parrot from a photograph once though. 16-Do you have any upcoming projects or plans you can share with us? 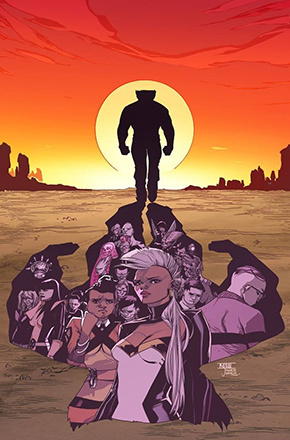 Will be staying on All-New X-Men for a while. 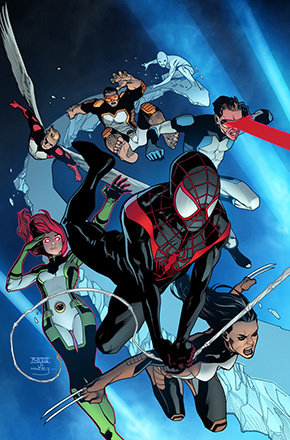 Will also be staying with Marvel for the time being so all I can say is that I have more Marvel coming up in the future. 17-Where can people find you and interact with you? Facebook, Twitter, Google +, Deviantart, Instagram and Tumblr under the name mahmudasrar. I’m most active on Tumblr, which is my home on the web (mahmudasrar.com) and Instagram.